When I was conducting my doctoral research on the medieval Lara family, from medieval Castile, the name was gilded by the sporting exploits of the illustrious Brian Lara, West Indian cricket batsman. Pearl Foster’s resourceful, self-published, work of family genealogy reveals another cluster of later namesakes, Sephardic Jews with origins in the Sierra de Estrela in Portugal, who migrated and settled in eighteenth-century London. The figure of “Henrico de Lara”, preserved in family folklore, and immortalized in an oval etching, provides Foster’s starting point; her great-grandfather’s half-mythical stories of this refugee from “Andalusia”, she explains, sparked a lifetime of curiosity. Her research, which takes her deep into the archives of Bevis Marks Synagogue in the East End of London, to the respective National Archives of Kew and Lisbon, and beyond, begins by unraveling the complex story of the ancestor who, in fact, was named Abraham (rather than Henrico) and who in immediate terms had Portuguese rather than Spanish roots—along with of other branches of this migrant family in the period between the eighteenth and nineteenth centuries. Abraham, son of the Portuguese pastry-maker and his wife who had arrived together in England in 1735, is a compelling figure: an inventive but naive “dreamer” whose work as a jeweler runs afoul of an impecunious student of Trinity College, Cambridge, a certain William Bird, who fails to repay a debt to Abraham. Undeterred, the young Sephardic entrepreneur and his friend Isaac Mendes Furtado develop an ambitious “Scheme to Defray the National Disbursements”—a proposal for new taxation policies which they discuss on Downing Street with no less a figure than William Pitt the Younger’s private secretary, the Rev. George Pretyman, “Pitt’s mentor and tutor at Pembroke College, Cambridge” (44). Sadly, neither friend appears to have benefited from this financial ingenuity. Foster’s narrative, which stretches across western Europe to Portugal and Gibraltar, is divided into small, humorously-titled sections (“Infamy, infamy, they’ve all got it in for me..”; “In his Cups”, etc.”). Written with the full and passionate curiosity of the family genealogist, it opens up a curious world of success and failure among the rapidly-growing Jewish immigrant community of Georgian England. There is plenty of material here, too, for the picaresque novelist: a reference to “the widower Shalom, a Kabbalist who had come to England from Morocco after experiencing torture by fire at the hands of the Sultan” (82) is not uncharacteristic. 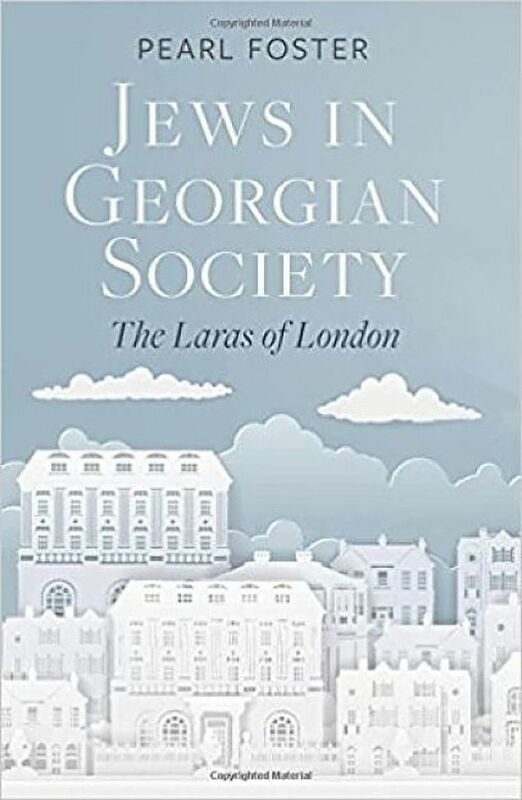 Intriguingly, for those who may wonder about the possibility of a distant connection between the medieval Laras and the Sephardic immigrants of the eighteenth century, Foster promises that the “life and times of the more ‘famous’ Lara family (as they have been referred to in the past), will be explored in further volumes” (230).